Choice has nurtured the grandest of human aspirations: freedom, prosperity and safety. But the current hypothesis appears to be that choice no longer possesses the same value to shoppers as it once did. And that convenience and curation will prevail over serendipity and selection. The enterprises that dominate what customers see, and buy, have discovered reducing choice improves sales and enhances margins. The reason is the data that every transaction or searchable click, throws off provides insight as to what might inspire the consumer to buy rather than view. To optimize the monetization of those insights, reducing complexity, time and cost becomes essential. The keys to increases in productivity and possibility are machine-learning and artificial intelligence. The seller is able to “curate” options in order to present only products or services the data suggest will stimulate sales. And these efforts appear quaint compared to empowering the algorithm to make purchases without the owner’s explicit command. The history of sales and marketing is really about the evolution of choice. The earliest humans ate — and wore — what they could find or kill. Their choices were limited by their abilities and their environment. As settlement and agriculture produced greater surpluses that could be bartered or traded or sold, options expanded, competition for that excess production grew and marketing emerged as an essential differentiator between those who went home happy — or hungry. Fast-forward to the digital era. 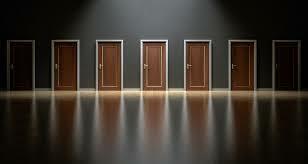 The choices available are virtually — and actually — limitless. Variable design, pricing, sizing, coloring, availability and immediate — free! — delivery anywhere, at any time are not just possible, they have become baked into consumer expectations. But a not-so-funny thing happened on the way to the digital forum: the enterprises that increasingly dominate what customers see, and therefore buy, have discovered that reducing choice may improve sales and enhance margins. The reason is that the data that every transaction, in fact, every searchable click, throws off provides insights as to what might inspire the consumer to buy rather than merely view. And that information has become the key to the new economy. To optimize the monetization of those insights, reducing the complexity and consequent time and cost of the interaction becomes essential. The keys to those increases in productivity and possibility are machine-learning and artificial intelligence, both fueled by the tsunami of data now captured by and sloshing through every digital activity. What merchants and marketers are learning is that limiting choices in what their customers see may increase their likelihood to buy. The seller is now able to “curate” the field of options in order to present only those products or services the data suggest will stimulate individual sales activity. And those individual limits will be grossed up into a strategy based on mass customization. The benefits are potentially significant. Some estimates postulate that artificial intelligence could boost retail profitability by as much as 60 percent by reducing marketing costs while improving sales through more precise targeting of shoppers and their desires. Amazon Go, the cashier-less retail business started last year by its parent company, Amazon, is an exemplar of this trend. The store provides a limited offering of “essentials” for the urbanite on the go, selected after extensive data analysis. Every bit of data is extracted: not just what is purchased (based on a system of pre-registration of mobile identification, then gathered and charged as the shopper exits), but what is picked off the shelf and examined, even if not purchased. Securities analysts speculate that it could be a $4 billion a year business by 2021, three years after its launch. Other companies are attempting similar efforts to focus consumers on the products the merchant and its supply chain partners want her or him to see. Supermarket giant Kroger is testing software to help customers complete their shopping lists by suggesting items, in store, that they have either purchased in the past or that data analysis shows other shoppers have chosen when buying products already in this customer’s cart. The company is introducing a new system that highlights products on shelves as customers pass, identifying brands it is hoped the shopper will purchase based on the store’s supplier arrangements, margin requirements, advertising promotions and/or previous customer preferences. The opportunities for exponential growth of such prescriptive marketing programs appear strong. Currently, only 22 percent of apparel, 30 percent of electronics — and a mere 3 percent of groceries — are purchased online. The expectation is that by further “focusing” — a word far less freighted with Orwellian overtones than “limiting,” “restricting,” or “curtailing” — customer options and assumptions, merchants can increase the percentage of purchases completed electronically, whether online or in-store. The reality is that these efforts may appear almost quaintly referential compared to even newer schemes, which some concerned observers are deeming coercive. The advent of smart speakers with virtual assistants has created new possibilities for marketers hoping to anticipate and shape consumer behavior. A first step could be to have Alexa or Siri or any of their companions recommend purchases based on timing and records of previous use. The next step would be to empower the device — and the algorithms that manage it — to make those purchases and arrange their delivery without the owner’s explicit command. The operational, financial and legal implications of such actions can only be imagined right now, though it is safe to assume that they are being studied by interested parties. The overarching hypothesis appears to be that choice no longer possesses the same value to shoppers as it once did. That, in effect, convenience and curation will prevail over serendipity and selection. The question, though, is not just whether that assumption is correct, but whether it will ultimately be better for marketing, for retail, for fashion and all of the other segments of commerce in which choice has played such an important role in stimulating global economic growth. Users of technology, in their role as consumers, may appreciate the speed and ease of use, but will they eventually grow tired of the curated selections made available to them? Will those users and purchasers begin to sense that prices, and the resultant cost-benefit calculations by which they have run their lives, are increasingly being determined by systems in which their voice is no longer necessary, let alone valued? Will merchants see their own growth stunted by the financial demands of a system based solely on calculations, like return on equity, in which their own creative and economic opportunities are limited by the decisions of others higher up the proverbial food chain? Will such processes concentrate too much power in too few hands and will that lead, inevitably, to abuse of the authority vested in those who dominate it? Frustration with the role of big tech firms like Amazon, Google and Facebook has already been on the rise across the world. And some of that resentment is driven by the understanding, if not actual knowledge (which largely remains a closely guarded secret for good, competitive and public-relations-driven reasons) that choices are already being constrained in ways that affect how — and how well — people are able to live, as well as how their opportunities are being determined by others. It may be that the impact of curation and convenience on choice will prove too restrictive to be sustainable in a world succored by limitless information that encourages human agency and enterprise. Choice has, over time, nurtured the grandest of human aspirations such as freedom, prosperity and safety. And it may just be too deeply inculcated in the human spirit to be severely curtailed or even eliminated. But given the forces pushing commerce in the direction of limitation, it may well be that the only way humanity, in its roles as consumer and citizen, will find that out is when choice’s absence is experienced.